One of the huge advantages of this tile effect flooring is how easy it is to install. This is much better for those who need an efficient flooring solution. It’s also much more durable that some flooring, and more practical that traditional kitchen tiles. 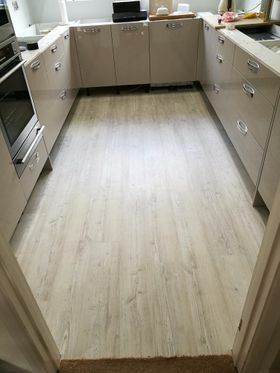 Next time you’re looking for carpets, vinyl, or hardwood solutions, choose Broadway Flooring, the premier provider of tiling in Plymouth, Devon. If you’re looking for a more natural ambience, we also offer natural-looking Coir and Sisal matting for your home. They’re environmentally-friendly and incredibly easy to maintain. To learn more about our tile effect flooring, the best alternative to kitchen tiles, contact us, in Plymouth, Devon.